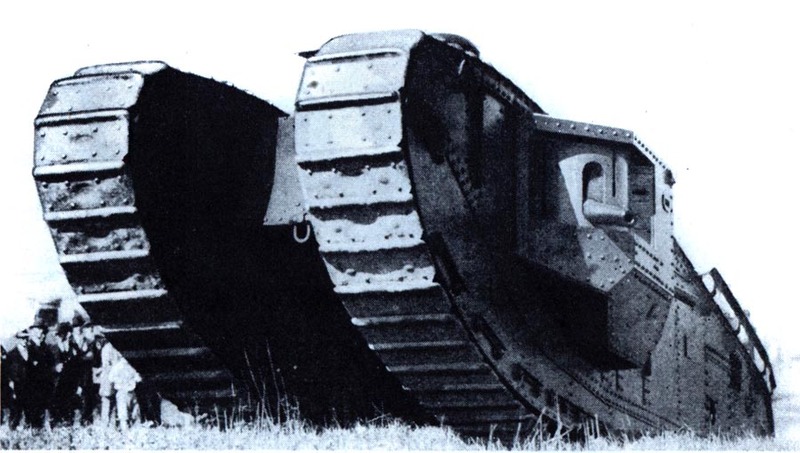 This was the heaviest ready-for-combat tank of WWI, "The America". 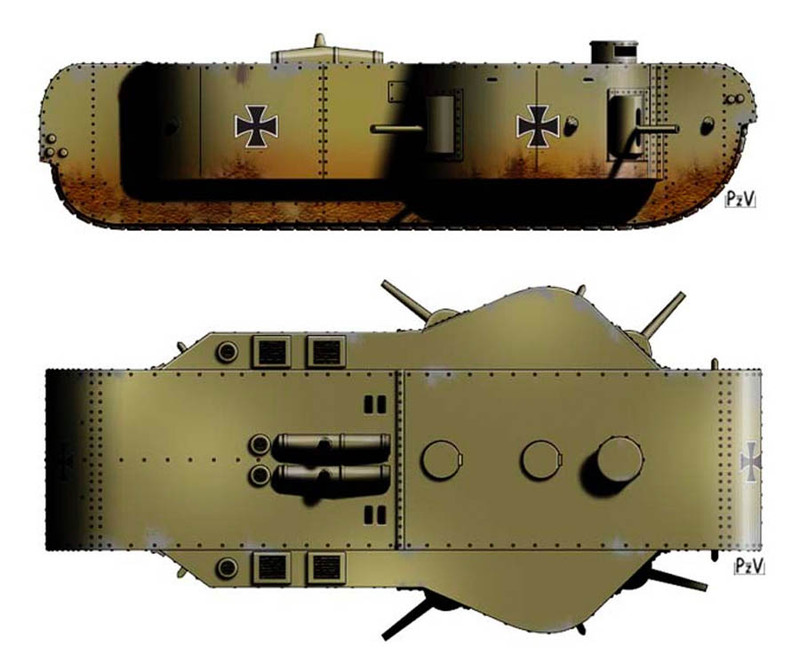 Some specialists cite glaring problems with this tank, for example, "a stray shell would have ignited the kerosene stores, and exploded the steam-chambers scalding to death everyone inside". The Steam Tank, however, was a step above the Tsar Tank in that it did not completely fail. It was ready to be sent to the battlefields... equipped with a flamethrower! 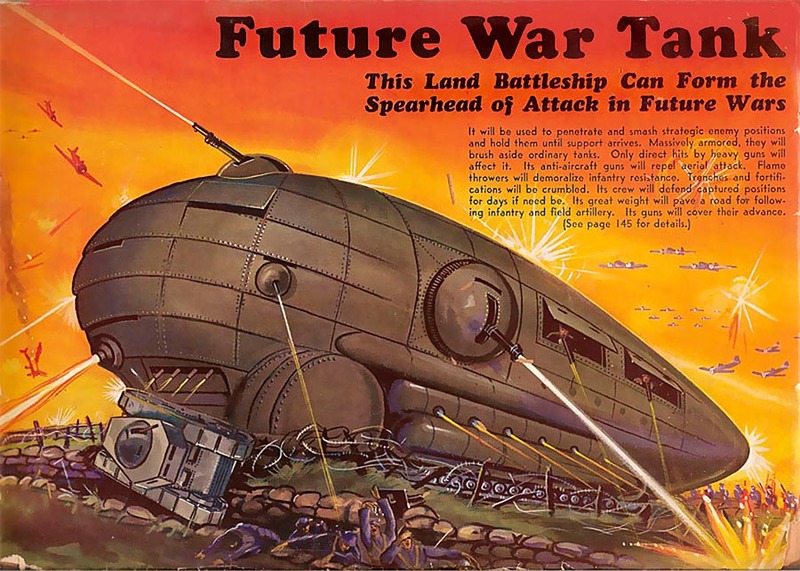 This gigantic beast was similar in shape to the classic British "lozenge-shaped tanks", except it ran on steam and sported a flamethrower... Er, did we mention it had a flamethrower? Well, this could be just a rumor: "...the flamethrower was eventually placed in a small turret on top of the cab - yet there is no photographic proof this ever took place". 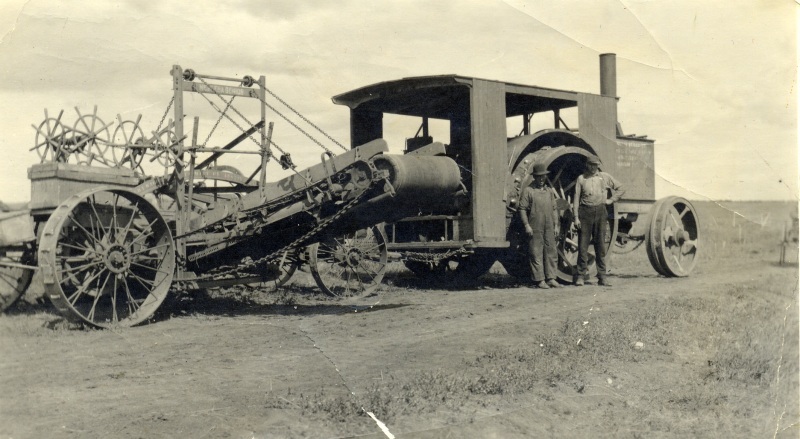 Named "Steam Tank, Tracklaying" it was built by the Army Corps of Engineers in conjunction with Stanley Steamer (the makers of the Stanley Steamer automobile) - and could also act as a battering ram if needed. 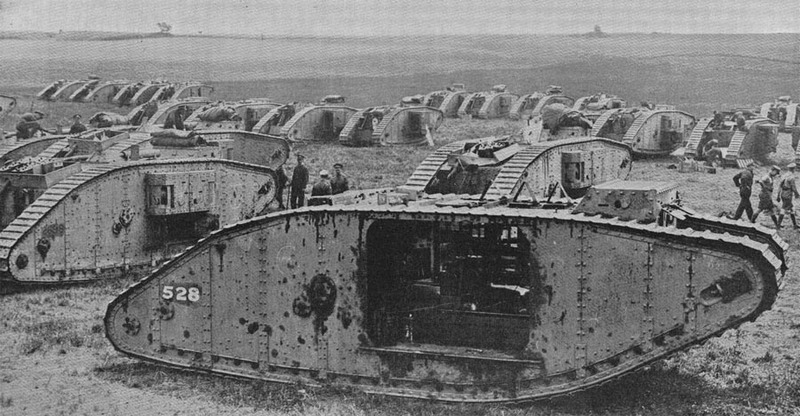 "Accounts state that this tank arrived in France in 1918, however, the war ended before any meaningful tests could be carried out." 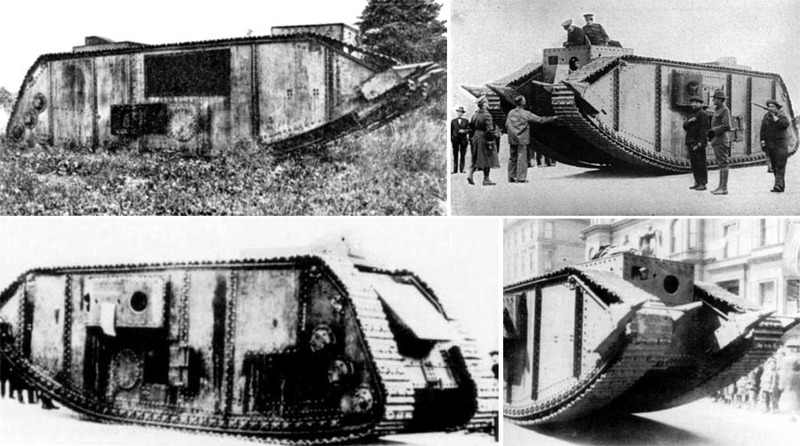 We already mentioned classic British "lozenge-shaped tanks with a kerosene engine". 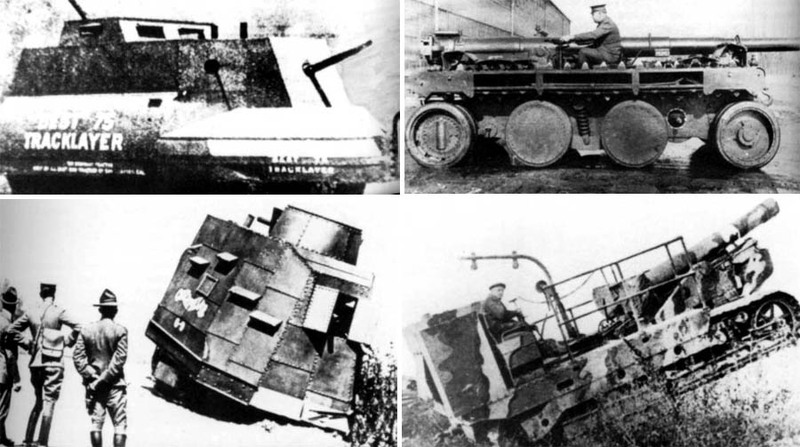 These were Mark I tanks: the British Army and the world's first combat tanks. 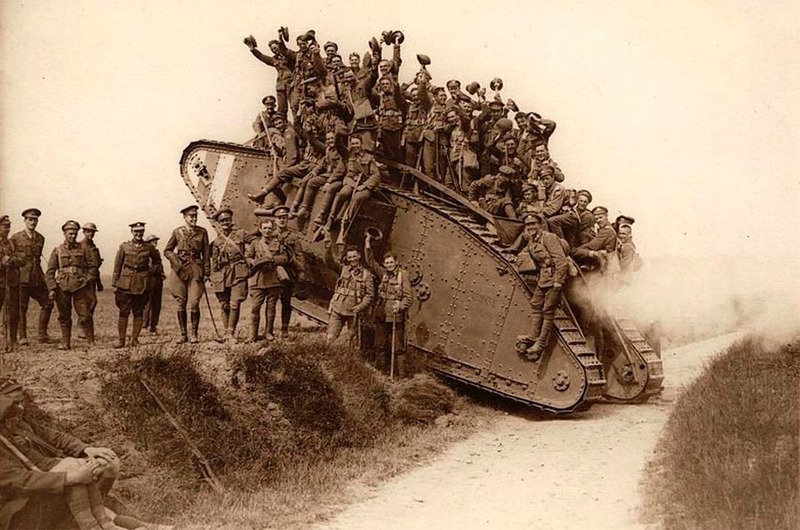 "The Mark I entered service in August 1916, and was first used in action on the morning of 15 September 1916 during the Battle of Flers-Courcelette, of the Somme Offensive... 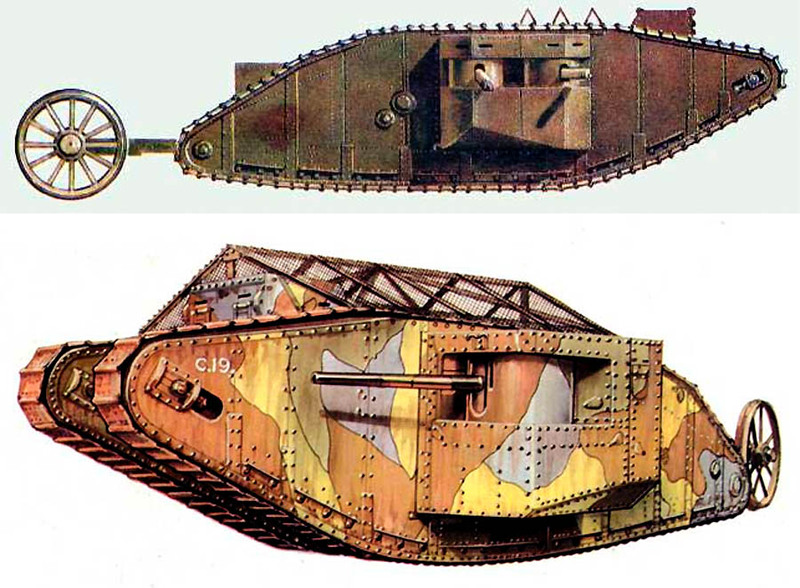 It was the first vehicle to be named "tank" (partly to maintain secrecy and to disguise its true purpose). It could definitely cross trenches, thus fulfilling Winston Churchill's requirements that we mentioned in the first part of this series. 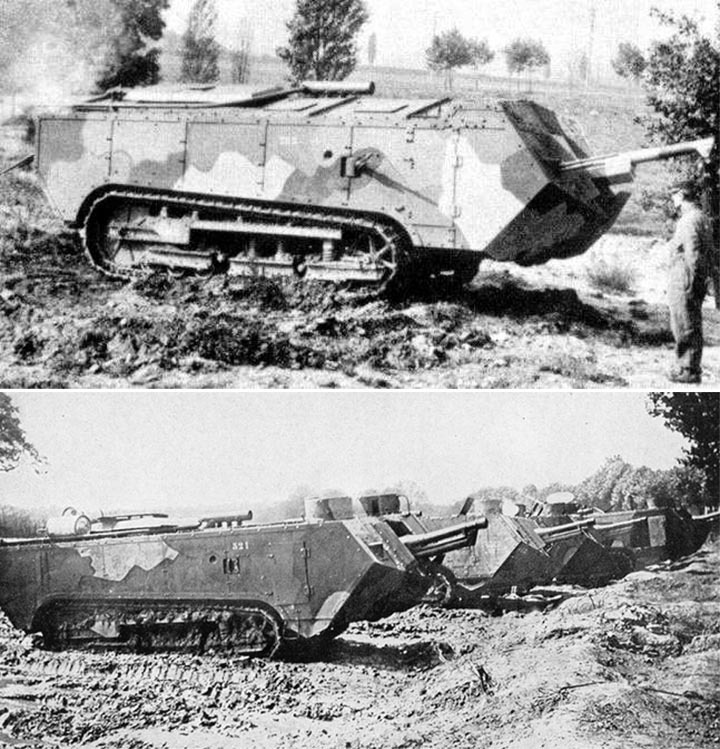 This beast (second of the French heavy tanks of the First World War) had very strange specs: it had no rotating turret and the long nose was prone to dig into the ground, which despite pretty decent speed of 12 km/h, made it a rather cumbersome vehicle. No crossing trenches for it either, due to its short tracks and very long body. 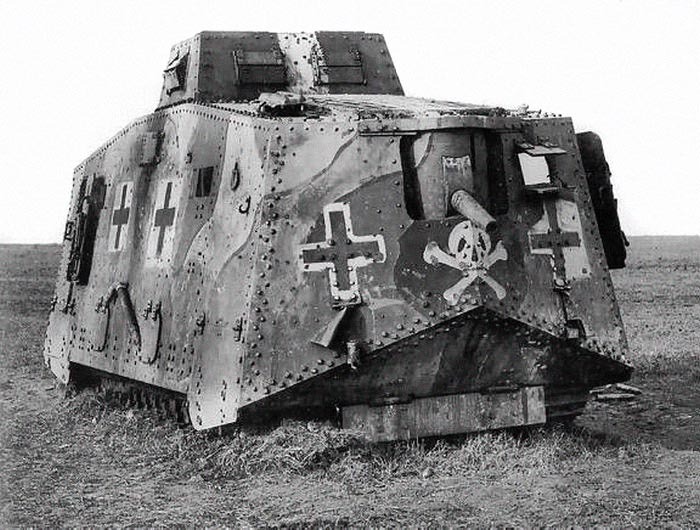 The word in the army was that "Nobody wants to serve on the Saint-Chamond"... Despite this, production continued with a total number of around four hundred tanks made. 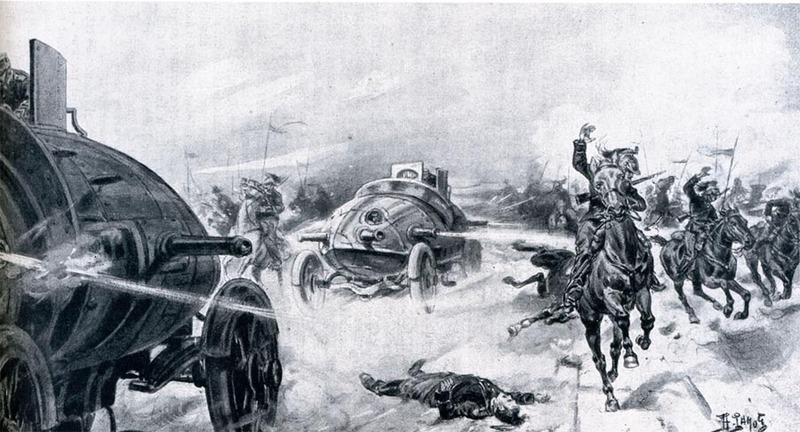 On the left image below is weird and inappropriately "cheery" depiction of the tank in action - and on the right is a significantly more realistic painting by John Hassall, showing pain and suffering on the Somme battlefield. "By the time the Battle of the Somme ended, there were over a million casualties on both sides, with over 300,000 killed or missing". The readers and editors did not spend much time mourning over the "impending passing of the United States Army’s most romantic unit, the mounted cavalry". Horses were definitely too slow for modern warfare, and cavalrymen of the future were expected to ride their gasoline steeds (new tanks) into battle. 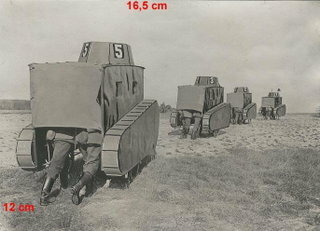 Stay tuned for the next part featuring strange and unusual tanks of the 1920-1930s. There's tons of weird tanks in Warhammer 40k. Checkout the Baneblade. Excellent visit” Allow 2-3 hours viewing the museum and visitor center. nazi memorabilia for sale authentic for museum tickets. The museum alone cans b 2-3 hours if you enjoy reading all the displays. Excellent educational experience for ages 9 and up. The main film was very good and there are many others within the museum itself. You probably already know about it, but if you don't, you might like to check up on the history of an Australian engineer named De mole. 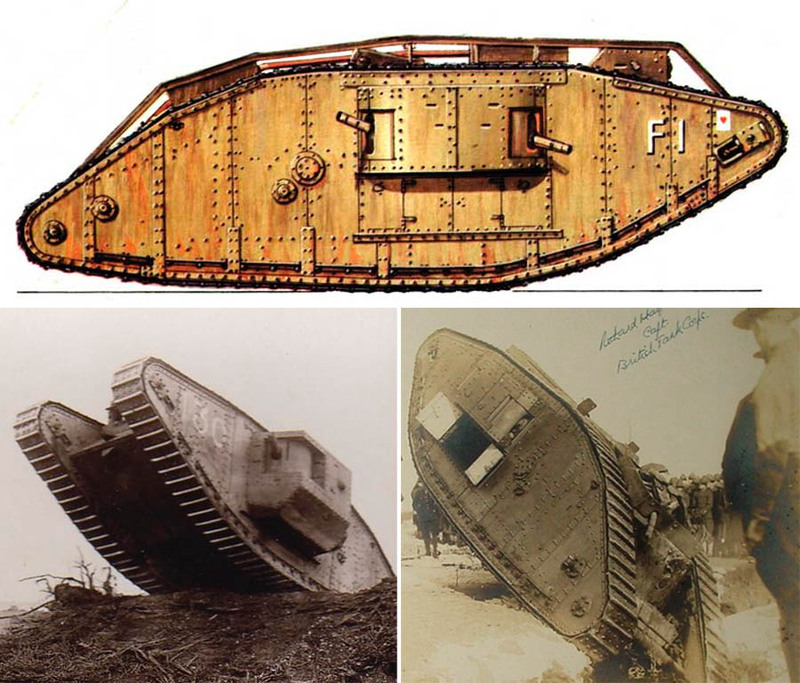 He designed an early tank that was in some ways very similar to the british WW1 tank in 1912, and tried to give the idea to the British government. The plans were filed and mostly forgotten. After the war, he was given a monetary reward for his part in "inventing" the tank, even though almost all his ideas had been ignored.